Our adorable Exhibit Farm lobby setup. Here at ZENTX headquarters, the past week has been full of Exhibit Farm. 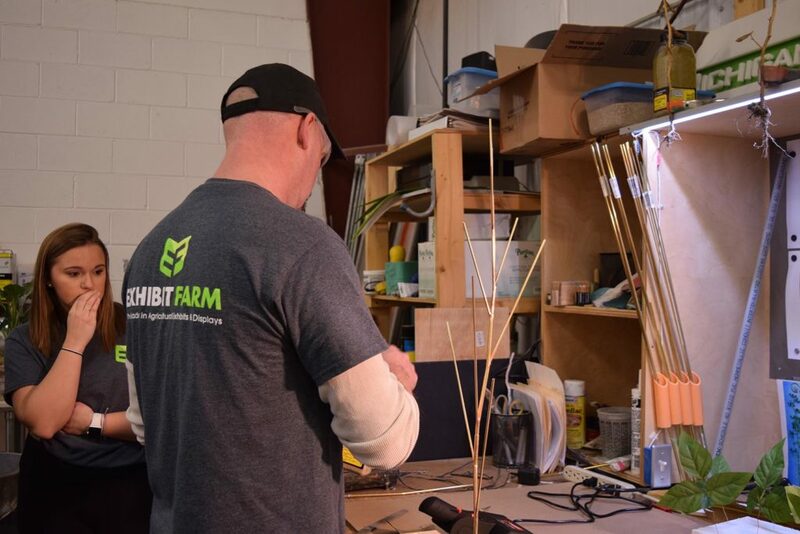 Not only is March National Ag Month, but it’s also been a big month for Exhibit Farm’s growth here at ZENTX. It all started last week when our crates full of trade show goodies returned from Florida, where our Exhibit Farm sales and marketing team had exhibited at the 2019 Commodity Classic trade show during the last week of February. 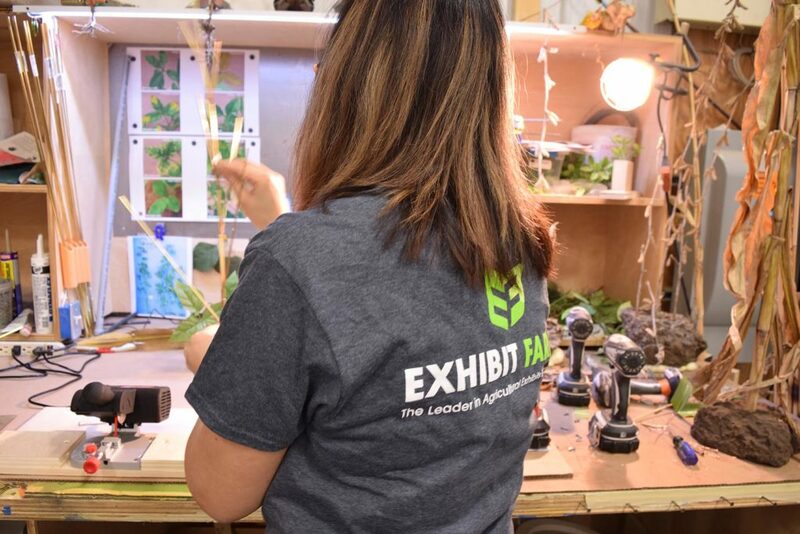 Our team eagerly cracked the crates open and unpacked them, plotting how we could set up a makeshift booth in the ZENTX lobby to show off our trade show masterpieces to visitors. 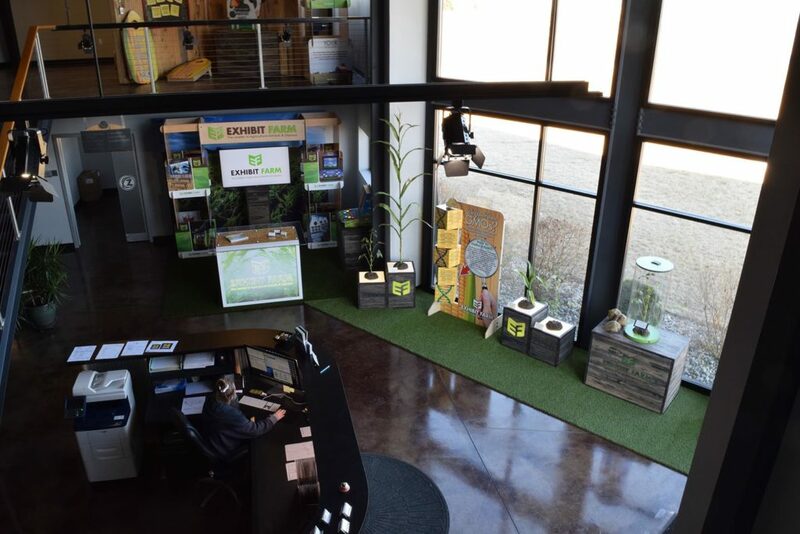 Within a day, we transformed our lobby into a regular playground of Exhibit Farm products. With such a big lobby, it’s almost like we’ve always planned on filling it with a spread of fake grass, a full-sized corn plant model, and a couple eight-foot stacking towers. And that’s just part of it. We haven’t even mentioned the soybeans. The setup of this new lobby attraction came at the perfect time. 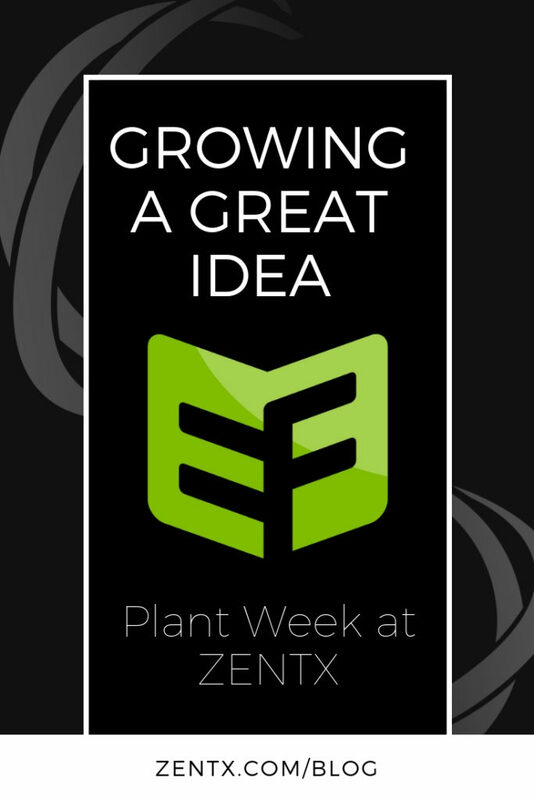 ZENTX team members had already been planning a “plant day” for the following Tuesday. The stated purpose of this day was to bite the bullet with a couple of anticipated plant orders by setting aside a day to build one soybean model from start to finish. 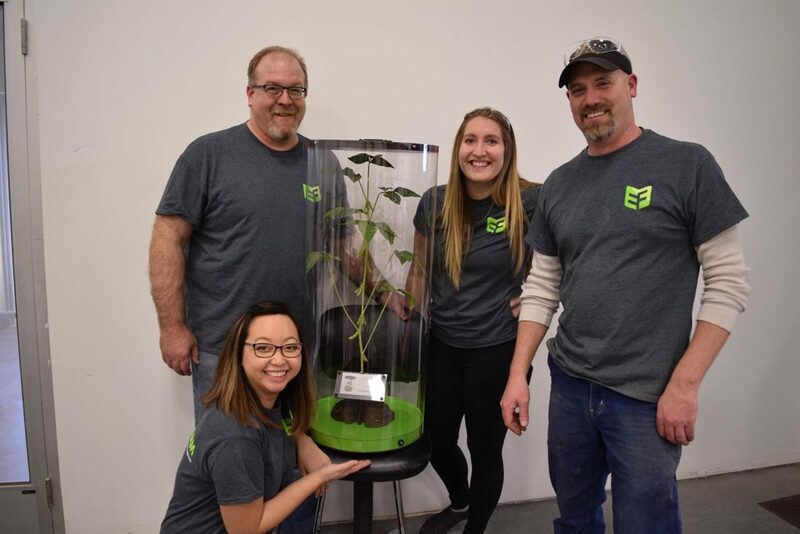 ZENTX team members displaying plant parts. The celebration didn’t stop with the cowbell. Everyone’s favorite coworker even took the time to make the team a full Exhibit Farm-inspired meal for lunch. This meal was complete with cornbread (in honor of our corn plant models), a soybean-based soup (in honor of our soybean plant models), a salad, and ice cream cake (in honor of our sugarbeet models). Everything was a hit, especially the ice cream cake. You can’t beet that recipe. 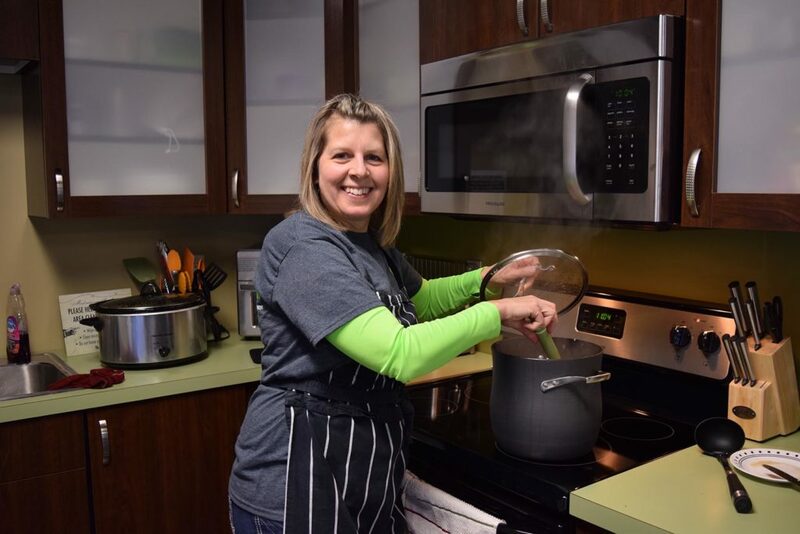 Everyone’s favorite coworker making a delicious soybean-based soup. 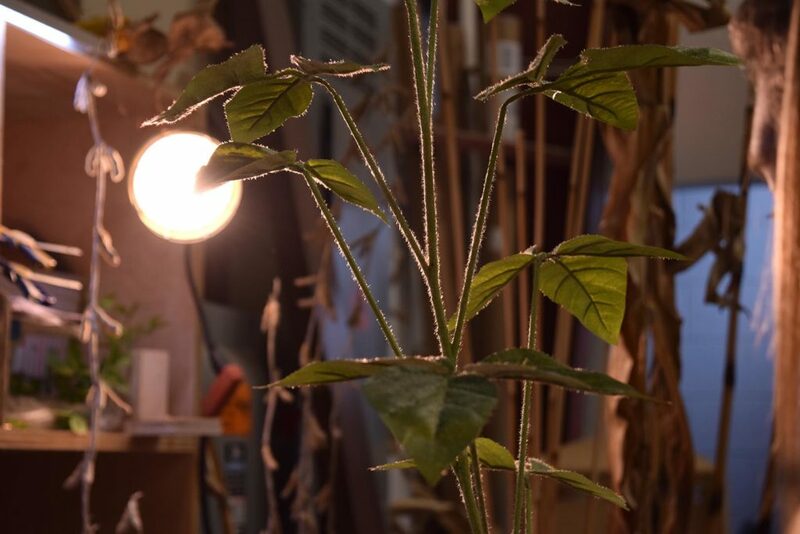 By the afternoon, the bean makers had a beautifully complete soybean plant to show off. 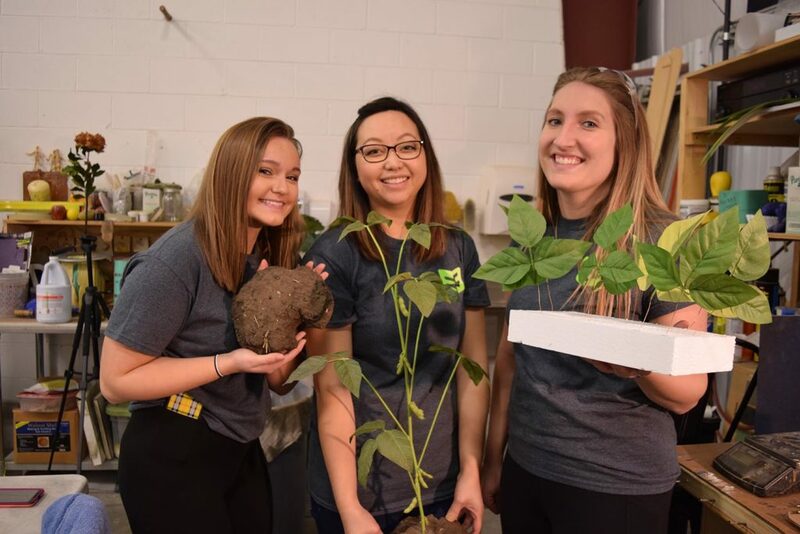 To top off the excitement, Exhibit Farm sales announced that the plant had already been claimed by one of our new Exhibit Farm customers that morning. 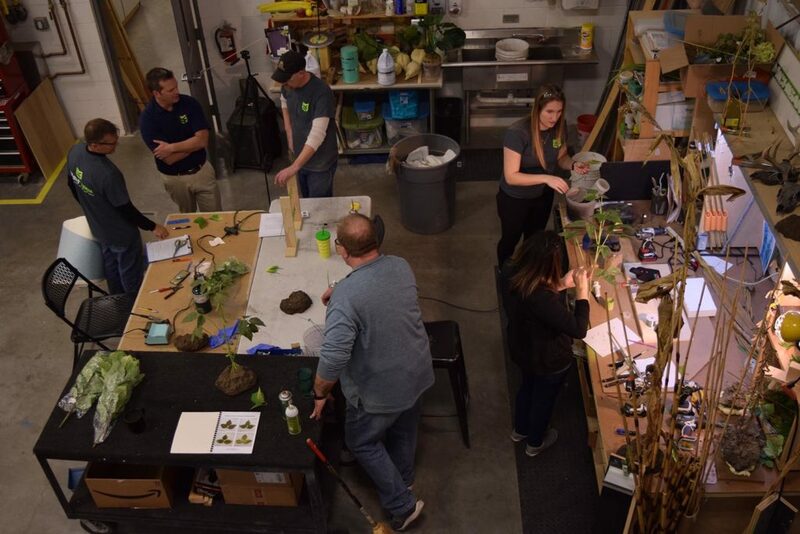 And several other customers from the Commodity Classic had already been making plans for their own plant models. And let’s not even mention how many sugarbeets we’ve sold in these few short weeks since they made such a big hit at the show. According to the Exhibit Farm team that attended the trade show, those fake beets were probably the top visual attraction of the booth. They stopped more people than even Exhibit Farm’s impressive corn plants. A bean team member under the observation of a curious spectator. A bean’s eye view of the building process. A closeup at the bean plant being built. Congrats on the big steps you’ve taken, Exhibit Farm team! 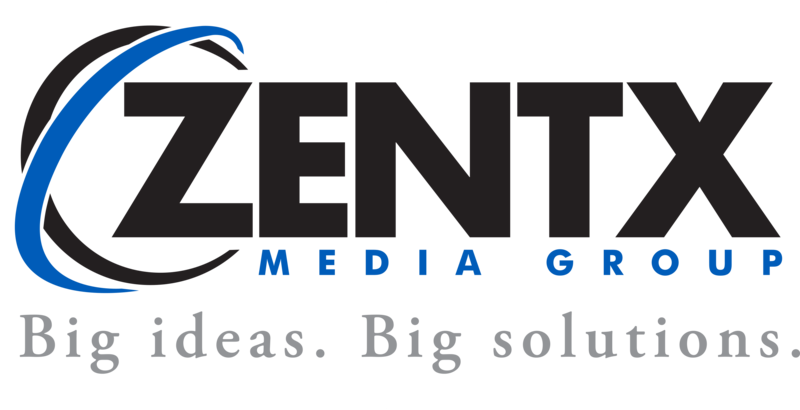 The whole Exhibit Farm venture is just one example of the crazy big ideas that we work with here at ZENTX. And we, for one, can’t wait to see how this great idea keeps growing.